A couple weeks ago, I popped my head into the new boutique that opened in downtown Mahomet. I love the vibe of this adorable place. When I think of boutiques I envision really small shops. JD Marie Boutique breaks the mold. JD Marie Boutique is spacious providing plenty of space to offer a variety of things.... from trendy clothes, shoes, fashion accessories, custom furniture pieces crafted by local artisans, as well as home decor. They also offer a high-end clothing consignment section. So you can SHOP for new items AND EARN money for your gently used name brand women and kids items. 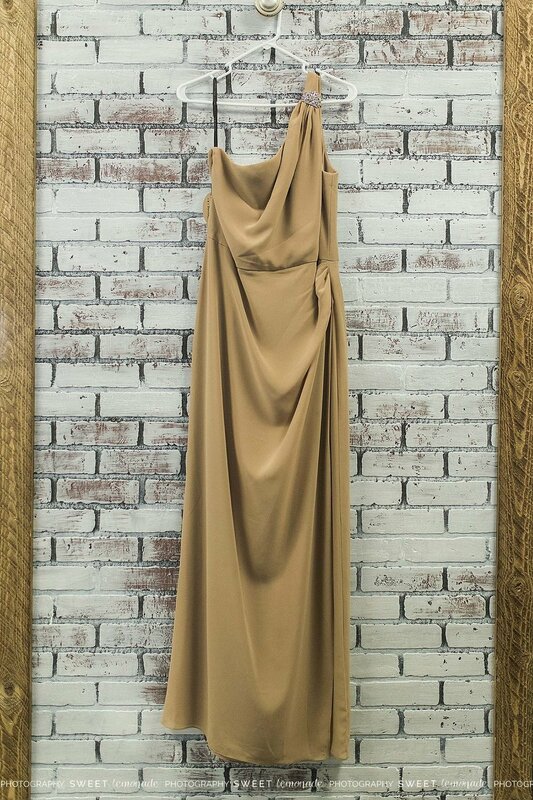 I'll share with you a little more about an upcoming PROM DRESS CONSIGNMENT event they are hosting in a minute but first let me tell you more about the business and the gal behind it first. Tammy Morrissey has been in the Champaign area her entire life, calling Mahomet home since 2005. She wanted to call Mahomet home because of the great school district for her kids (her kids are now 24,22 and 14) and wonderful community vibe. While lots has changed in this small town since she moved here, those things have not so she knew this is the place she wanted to make her dream come true. "In addition to my 3 children, I also have a grandbaby who is 2 and 3 bonus kiddos that are 16, 13 and 11. It’s never a dull moment around our house with kiddos and activities," Tammy shared when I met with her. For a second I thought I was gonna have to literally pick my jaw up off the ground when she told me she was a grandma. What?!?! This woman looks amazing! Yes, the woman in the photo below is a grandma! Why did you decide to open up a boutique? I love retail and worked in retail many years ago. I had my own store for a while and also managed a clothing store. I love to Boutique shop. I love clothes, shoes, and anything to accessorize. My boyfriend Tim and I travel for his work at times and I enjoy going to small towns that have boutiques. It's fun to check out the little shops and their strips or squares and what all they have. Every little town has something a little different. After doing this quite often I kept thinking to myself that I wanted to have a Boutique. I have thought for a long time that Mahomet needs something like this. When Bulldogs Consignment closed and this space became available, Tim and I discussed it and he was completely on board with the idea. I’m thankful every day for him because supported this decision completely and believes in the success of our business." "I had a great job when I decided to open up this boutique. It was a huge risk. However, doing something you love I don’t think you can fail. I think now was perfect timing for me to be able to do this and the kids are all at a great age to be able to dedicate the time needed. It also helps that Mahomet is really growing right now and I believe is a good time for the town to have new stuff to offer. I’m excited about the growth of Mahomet. I’m happy to be back into a career where I can meet new people and even make friends. There is nothing is worse than going somewhere and finding something you love and the experience being ruined by someone working there." What makes your boutique different? 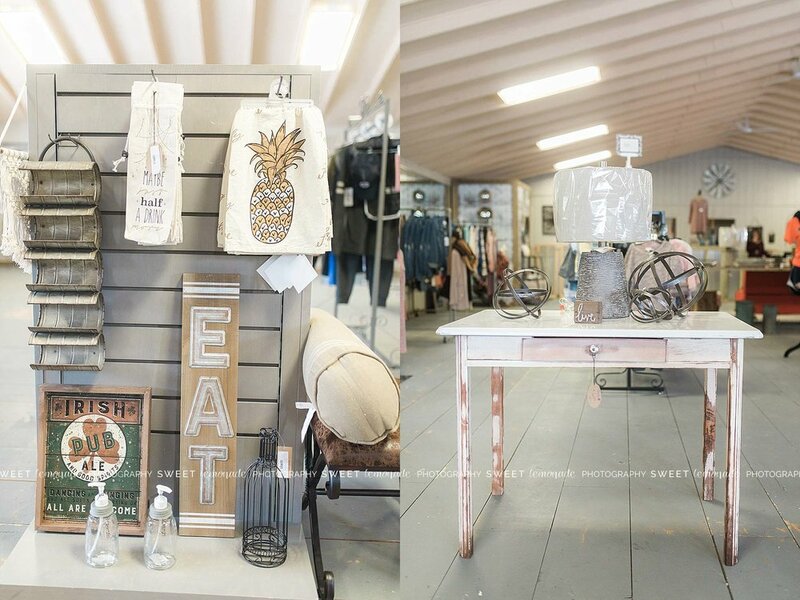 "We wanted to provide unique clothes, accessories and decor with the added convenience being located right here in Mahomet. I wanted to bring unique AND affordability to my hometown. Typical boutiques can be quite pricey. I strive to provide a pleasant shopping experience and great quality boutique clothing without breaking the bank. We handpick everything that comes into the store so the quality is amazing, the price is right and we offer trends for every age group." She's always on the hunt for new and unique home decor items and stay on top of the trending fashions and adding new merchandise weekly. "If I love it, I want to carry it. We pride ourselves on offering a wide variety of items that change often so each time you visit, there will be something new." How did you come up with the boutique name JdMarie? "My kiddo is Jaidlynn Marie, I’ve called her JD since she was really little. She likes to shop as much as me so it was the perfect name for our store," Tammy shared with me. Not only does that girl love to shop but what I love is she helps her mom run the business too. Currently, Tammy runs Facebook Live sales on Sundays at noon and JD is at the shop assisting from beginning to end. Be sure to like JdMarie Facebook page. As a small business owner myself, I get my own boys involved when I can... from ripping up the carpet in my new studio, painting walls, assisting at events, taking photos to baking cookies for the Mahomet Chamber of Commerce ribbon cutting ceremony at my new Sweet Lemonade Photography Studio. I want my kids to see the hard work that goes into running a business. It's not easy but it's really rewarding. I started my business before I knew what it took to run a business. I'm still learning a lot. I'm sharing my mistakes with them as I go along and teaching them a great deal about the number side of things. Dollars and cents... that's something I never had to worry about... until the last few years. It's eye-opening and I want them to have their eyes opened early in life as opposed to 35 when I feel like I began learning so much (income, investments, insurance, etc). They are never too young to learn about hard work, money and other lessons that will serve them well in the long run. I want them to be proud of what Sweet Lemonade Photography has become because they too are invested in it through their involvement. I want my boys to chase after their dreams and go for it. The more I can get them involved in mine, I hope it will help them realize their dreams are possible and go after whatever they want. Got a little off topic but if you know me, that's nothing new. To know me is to love me. ;-) Back to JdMarie and the upcoming prom consignment event they are hosting. Do you have a prom or pageant dress you recently wore and no longer want? Bring your dress in NOW to consign (you keep 50% of sale price). Are you looking for an affordable dress for this year's prom? JdMarie is hosting a Prom Consignment event on Saturday, March 10th from 10-5 pm. There is already a full rack of dresses varying in sizes and style with new dresses being brought in weekly up until the big sale day on March 10th. So stop in anytime to see what's available. When I stopped in I saw dresses priced between $15-$300. There is a wide variety of sizes, styles and colors available. 4) Comment on the FB post letting us know you completed steps 1-3. Bonus entry if you leave a SECOND comment saying the favorite thing you've bought from JdMarie boutique so far. Haven't bought anything.... then you're long overdue for a visit. I went there for work yet walked out with a new shirt that was custom designed for the boutique by Handmade by LMJ that reads "Wake, Pray, Slay". Loved it. Had to have it. :-) Winner will be drawn at random on Friday, March 9th. You can find them ONLINE, on FACEBOOK and on INSTAGRAM.